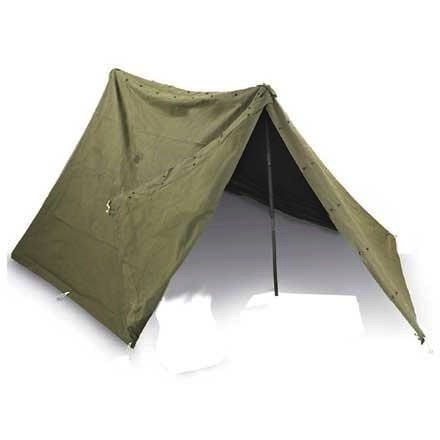 Tent, Pup 2-Man, Canvas This system includes two half shelter systems that connect together to create a two man pup tent, which was the standard ground troops’ tent for decades. Dimensions are 7 feet x 5 feet. Complete with poles, ropes, stakes, and canvas. Can be set up as a 2 man “pup” tent as pictured, or use individually as two (2) one man half shelters. A great buy!